Happy Monday people! I started my week off with a bang this morning for sure. Some of you may or may not have heard of a new fitness craze called Orangetheory Fitness. These fitness studios are quickly making their way to Connecticut and the Northeast. I kept hearing about Orangetheory in the blog world so was super excited when I found out there was one opening 20 minutes from me! 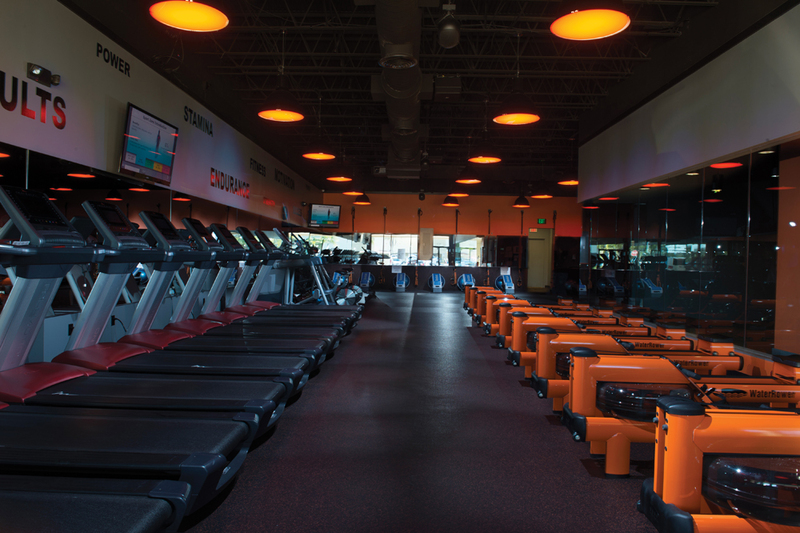 Orangetheory is a fitness studio that offers group classes which incorporate treadmills, row machines, and weight training. How Long? Every class is 60 minutes. Awesome! What do you do? Half the time you are alternating between the treadmills and row machines. The other half you are training in the weight area with dumbbells, trx bands, ab rollers, and more. Is it the same workout every time? No! Every time you go the class sequence and exercises are different! Is it hard? 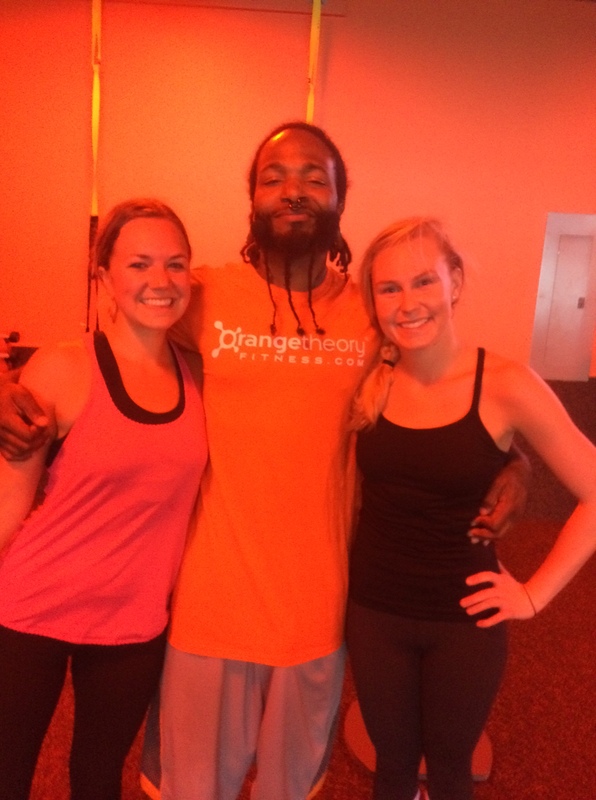 Orangetheory workouts are ones that you can put into it what you want to get out of it. Although there are pretty awesome instructors who will be pushing you the entire time. What makes it different than other group classes? Everyone wears a heart rate monitor which then displays everyone’s stats on a big screen. 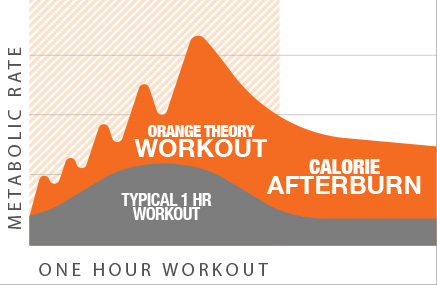 The goal is to get into the green and orange zones which are the fat burning zones. From the site’s fitness expert: “Backed by the science of post-exercise oxygen consumption (EPOC), our heart-rate monitored training is designed to keep heart rates in a target zone that stimulates metabolism and increases energy.” Visit his website here for more details. I’m loving this new workout and think I’ll definitely continue to incorporate it into my fitness routine. Has anyone else ever tried Orangetheory Fitness?